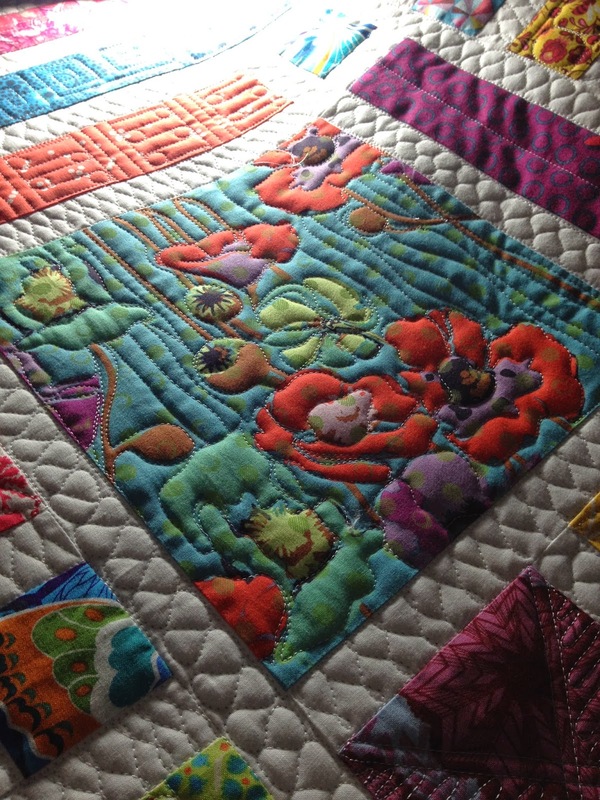 The colours were stunning, so perfectly pieced, and perfectly placed. Every print that had a special direction, was placed in a uniform direction. I did a figure 8/wishbone design in one direction of the sashing, and ribbon candy in the other. Some of the blocks I did swirls, pebbles, straight line details..
...some of them I left on their own like these wee ones....they look like little pillows! 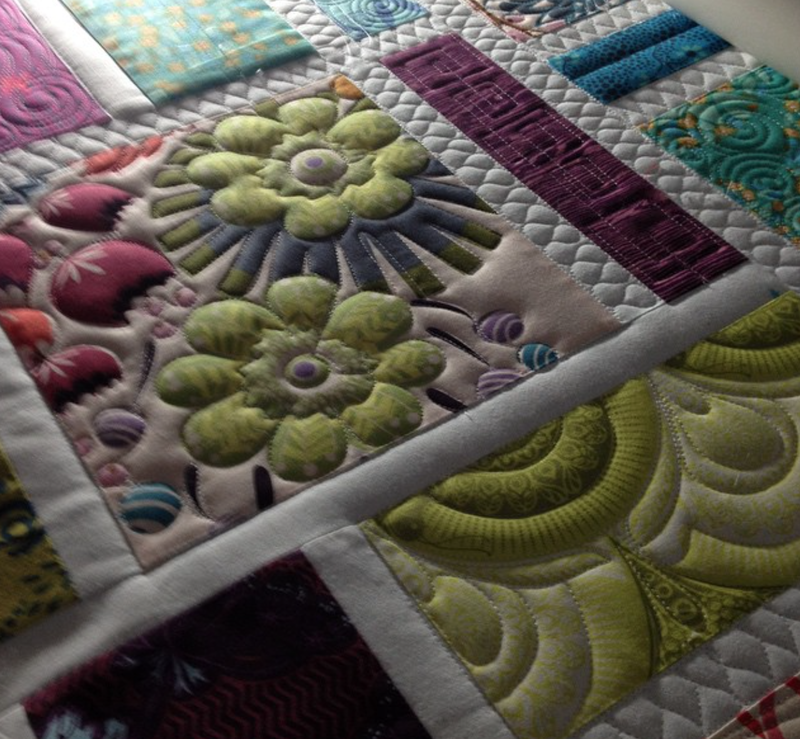 ...and some blocks I used the print to dictate my quilting,.. 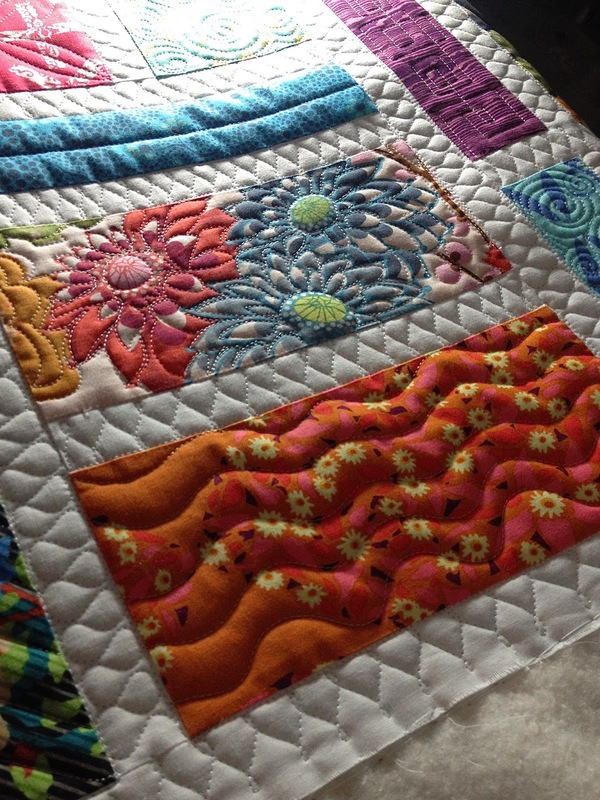 Your quilting is fabulous. 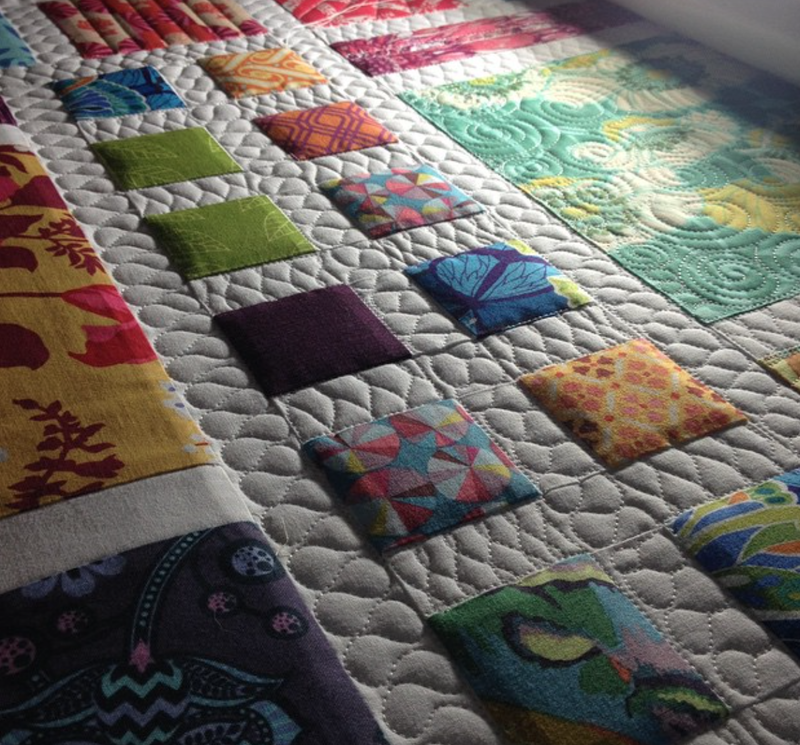 Do you know what quilt pattern they used to piece the quilt? 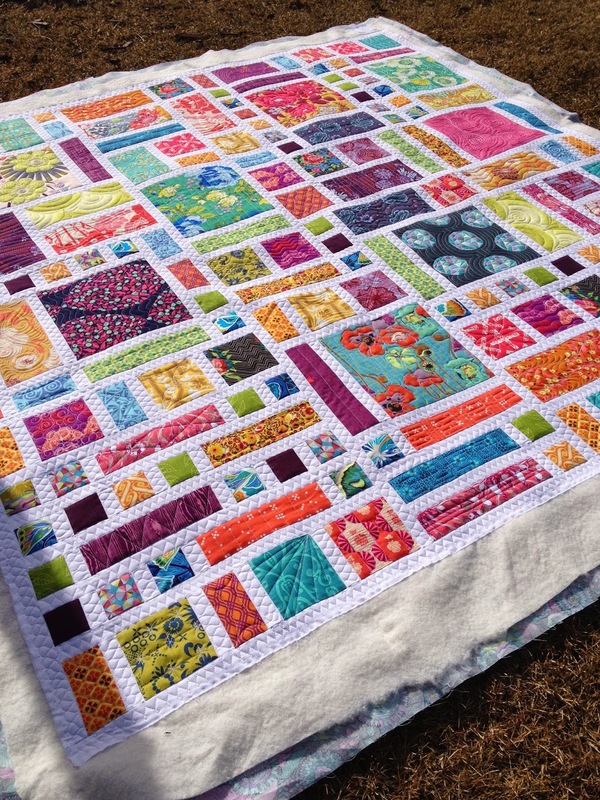 Such a happy colored quilt! 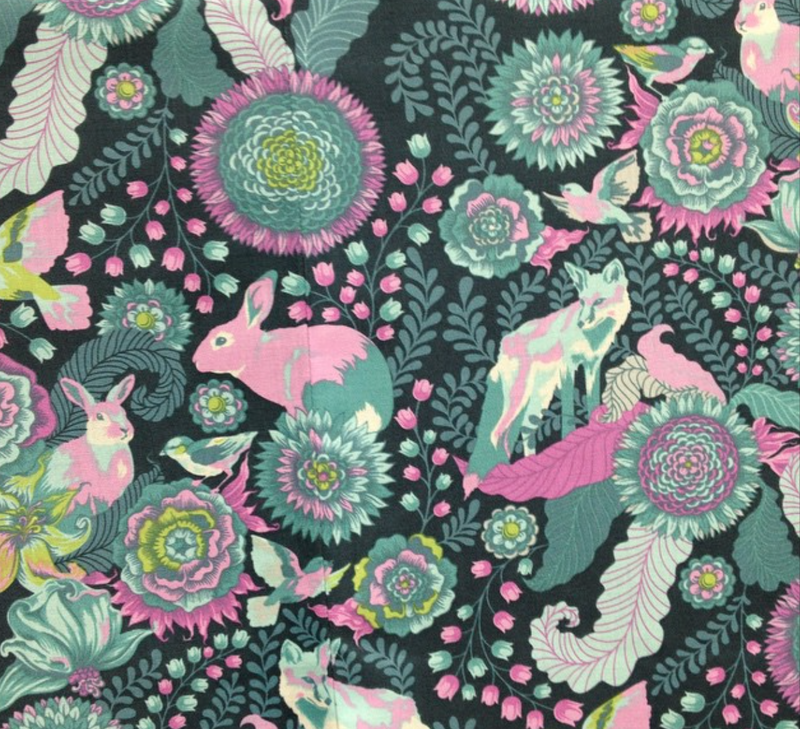 Do I see some Valarie Wells fabric in there? 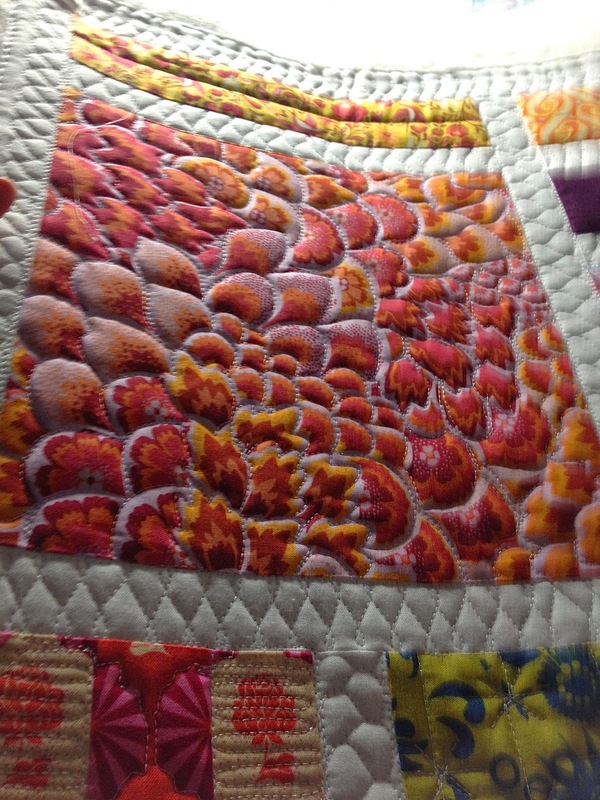 And your quilting....quite stunning! 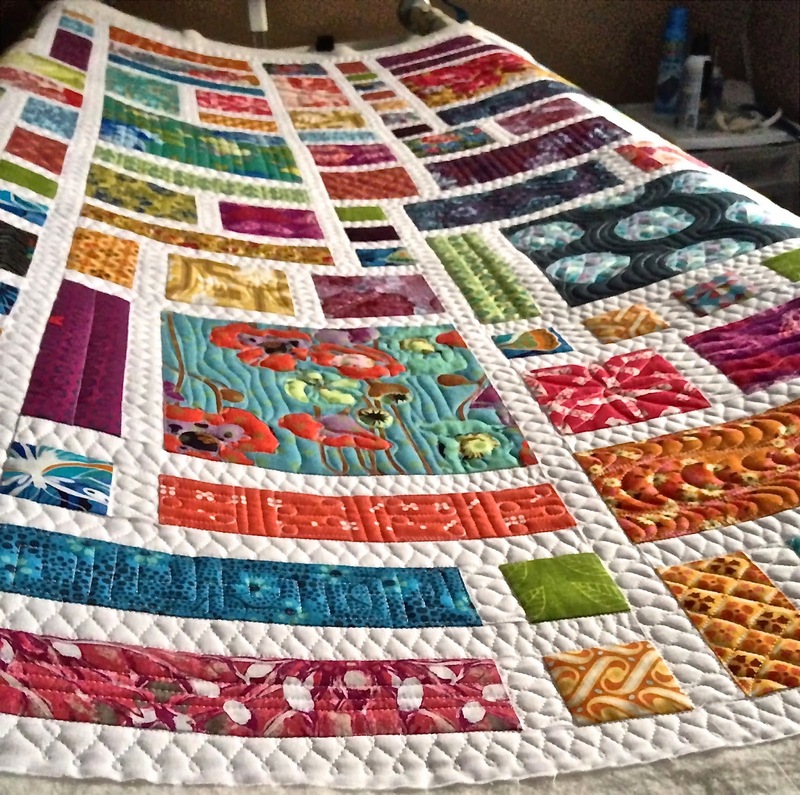 I need to send a pieced top your way sometime, soon! 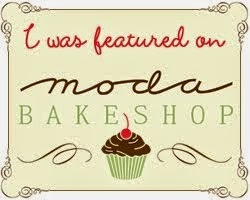 I am drooling now too! 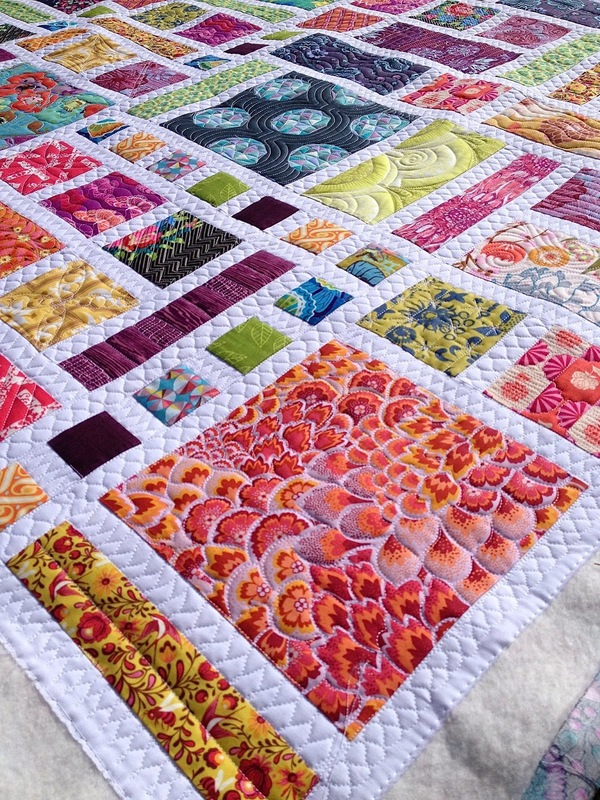 You're quilting is perfect! 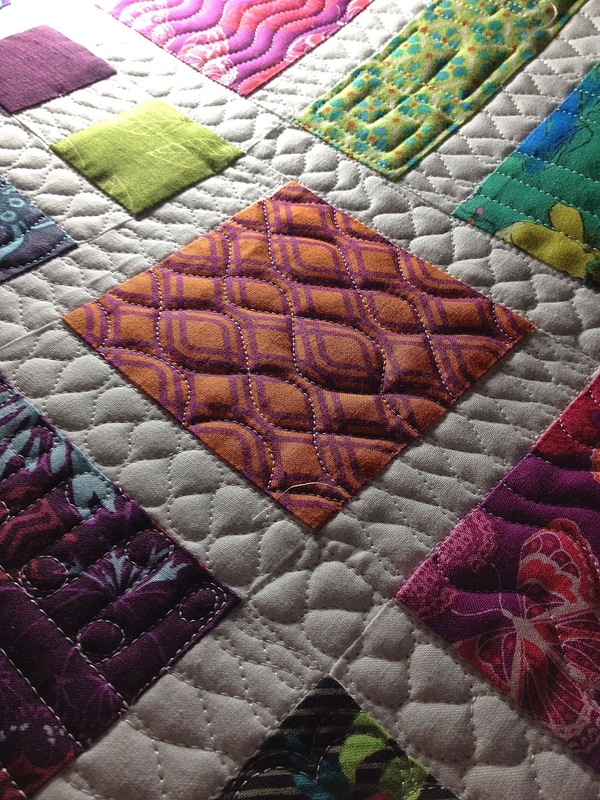 You are an amazing quilter, you have enhanced the quilts, perfect! Did you use 2 layers of batting?